For more information and to RSVP click here! Get to know your neighbors while enjoying some delicious food! All for All is partnering with Casa Brasil and Carlow University to host a community dinner! 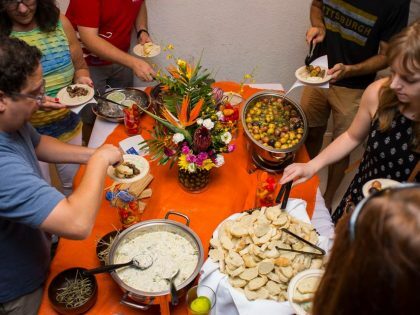 This event is part of a dinner series with the purpose of bringing together immigrants and U.S. born Pittsburghers to connect over food and conversation. Each of the gatherings focuses on different cultural experiences and this evening will spotlight several Latinx community members! This dinner is free, but please RSVP because seating is limited. Doors open at 6.